There is a project of mine that I am really passionate about. It combines my past with my current interest. In my neighborhood is a little shed which used to be a kiosk. It is placed very near to my old school. Sometimes we used to buy some sweets called “gemischte Tüte” – which is a paper bag filled with different kind of candy. Now, we are on the mission to save this kiosk. 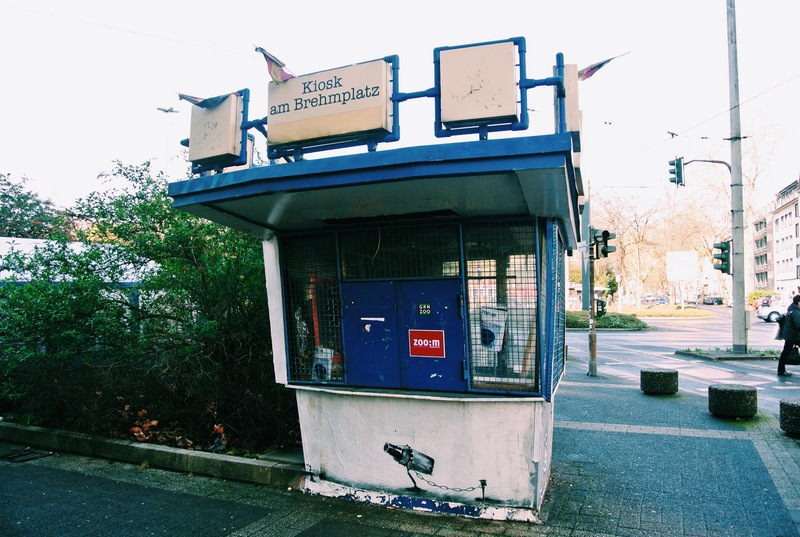 This kiosk – or “Büdchen” how we call it in the Rhineland – was not used for 2 years. After I posted this photo on Instagram, I talked to my friends and neighbors Nick and Jan. For more than a half year we spend ideas, time, a bunch of phone calls, emails to put life into the Kiosk again. We finally managed to talk to the owner of the “Kiosk am Brehmplatz” – that’s the actual name of the thing. In February we were in negotiations to buy the kiosk, when suddenly the conversation stopped. Then we read this post on the facebook wall of the neighborhood magazine ZOO:M. Ok, we thought at least the kiosk is not lost and will be destroyed. Yes, the kiosk was supposed to be demolished. Like I said it was not used for more than 2 years. And if you don’t take care of wood for 2 years, the weather will do its work and leave some traces at the little shed. 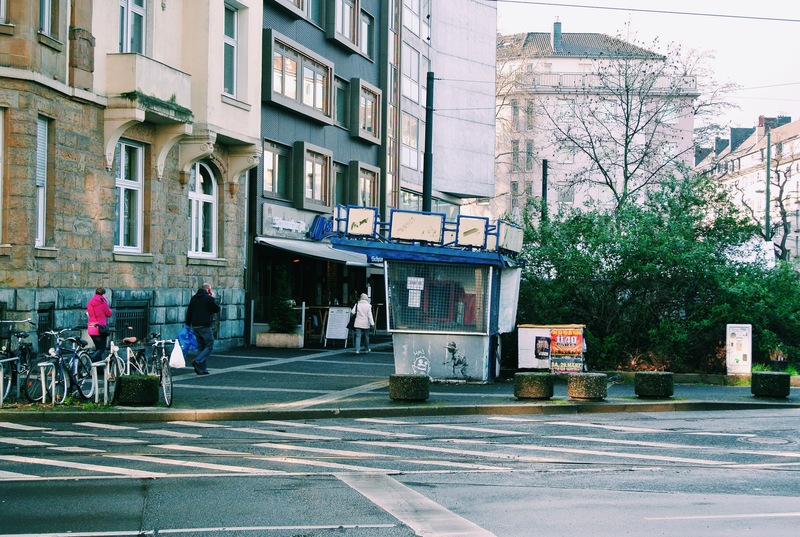 We read in newspapers that the city wants to renovate and redecorate the square where the kiosk is placed – the Brehmplatz. The city planned it for a long time, see the newspaper article from 2012. But now they were getting serious. So, we started to take care of the kiosk. The new owner of the kiosk had problems with the moving of the shed. It needs to be transferred to a place where the shed can be restored and made it into a beautiful Büdchen again. 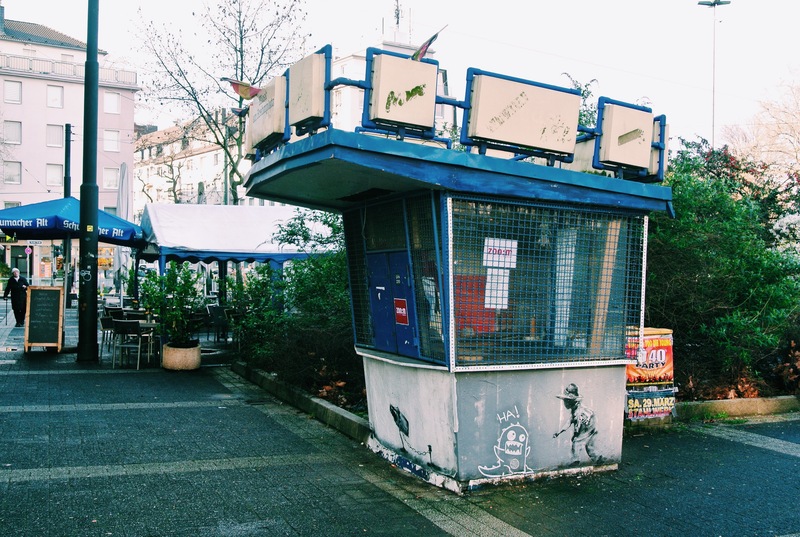 Yes, we need to fight for the “Kiosk am Brehmplatz” to be placed back to its origin. Kiosks and Büdchen are a cultural good that is dying. And we can’t make that happen. The Büdchen am Lindenplatz, another kiosk-shed in a close by neighborhood already needed to be destroyed because of the city. We can’t let that happen to the “Kiosk am Brehmplatz”. 1. Save the kiosk from being demolished and make aware of the problem. 2. Fight against the city (with a petition and signature campaign) to place the kiosk back after the restoration/renovation. 3. Found an association to make pop-up events, support of local dealers (like famers, wine dealers, producers, etc.) and at the same time make some money to keep the kiosk running (e.g. with fundraising). You can now start with “liking” the kiosk on facebook and get in touch with us. Do you know any good contacts? Do you want to help any other way? Are you a carpenter and can help us restore the shed? And please help shouting out the message to save the kiosk, just talk to all people about this idea – online, offline, at the dentist, in chat-forums, in public spaces…!